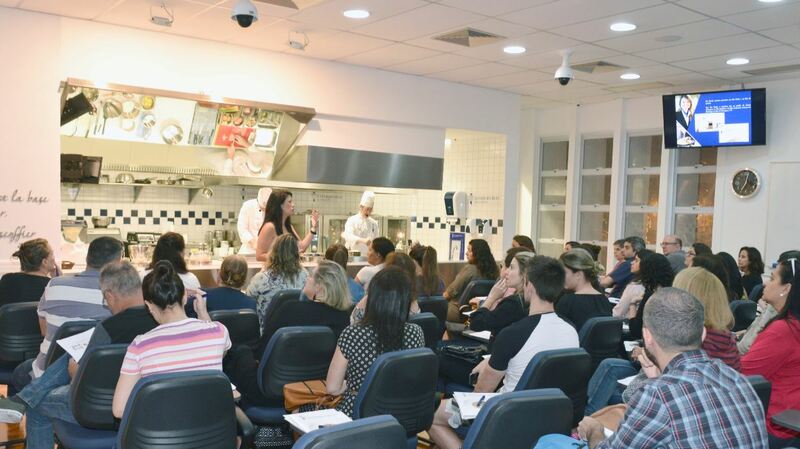 The Open Doors event is an event where food fans can get to know Le Cordon Bleu International Institute of Culinary Arts of Rio de Janeiro and watch the chefs preform during a demonstration class. The first Open Doors event happened in September and 70 participants attended. During the event, visitors can visit our kitchens and learn more about the diplomas offered (Grand Diplôme, Diplôme de Cuisine, Diplôme de Pâtisserie and CordonTec, as well as Basic, Intermediate and Superior certificates in Cuisine and Pâtisserie). The event is also an excellent opportunity to learn about the partnership held by the and the bank Santander to facilitate the investment according to the needs of each student. New dates will be published on our social media, don´t miss out!